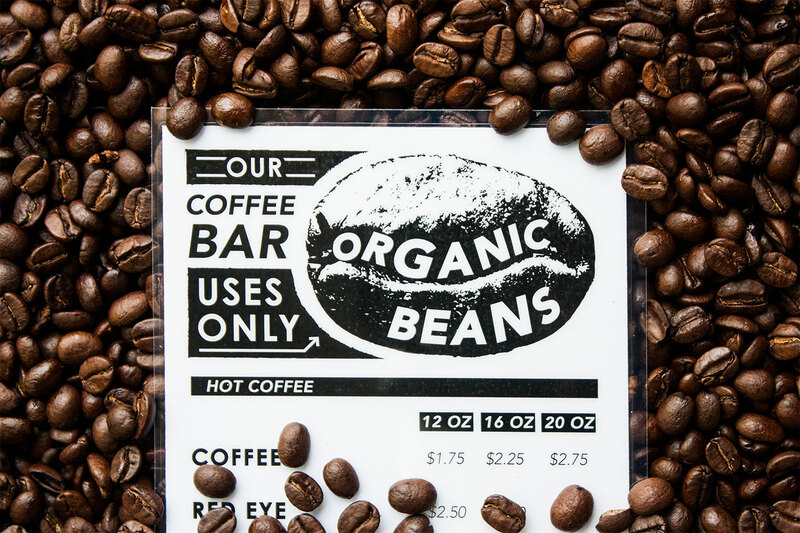 Freshly ground, always organic beans brew slowly as the aroma of coffee fills the store. 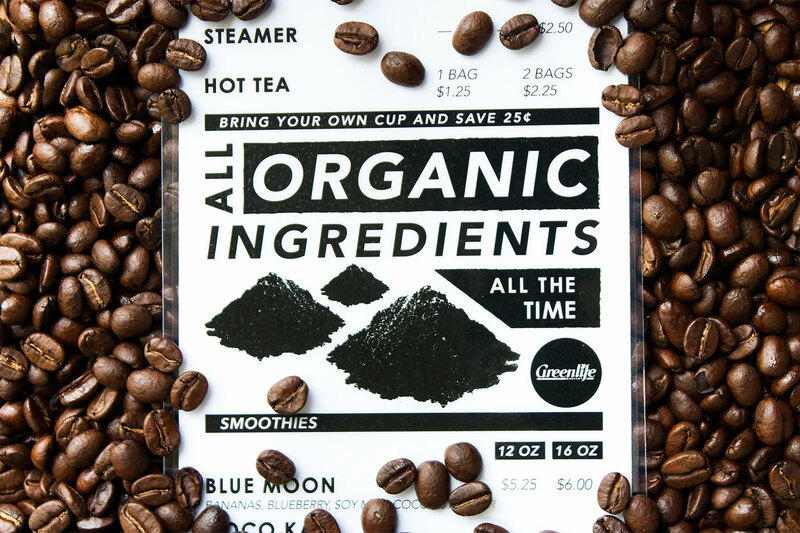 Every morning Whole Foods Market Asheville (Greenlife Grocery) opens their doors to the caffeine deprived souls of Asheville, NC. 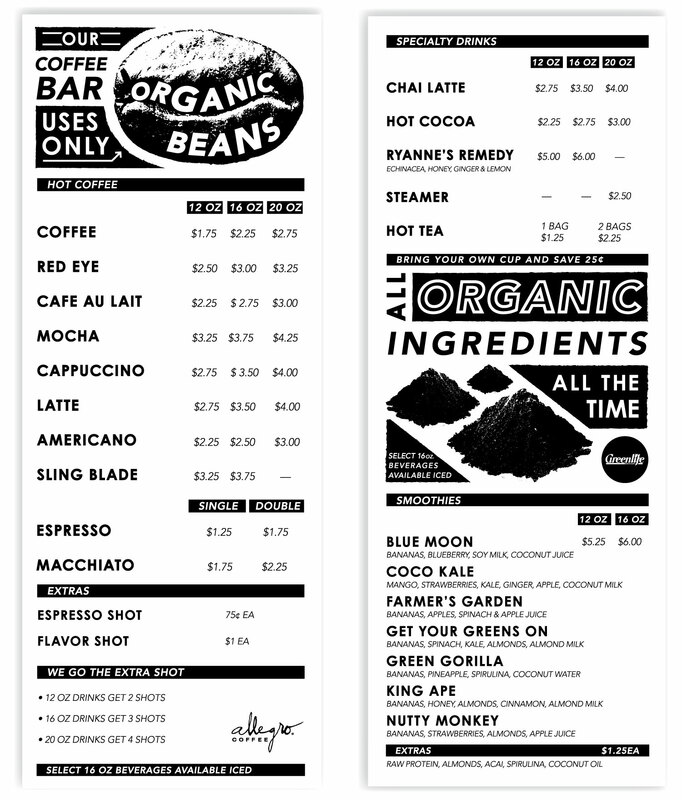 A bold black and white menu organized by drink type shows patrons the selection of beverages featured at the coffee bar. 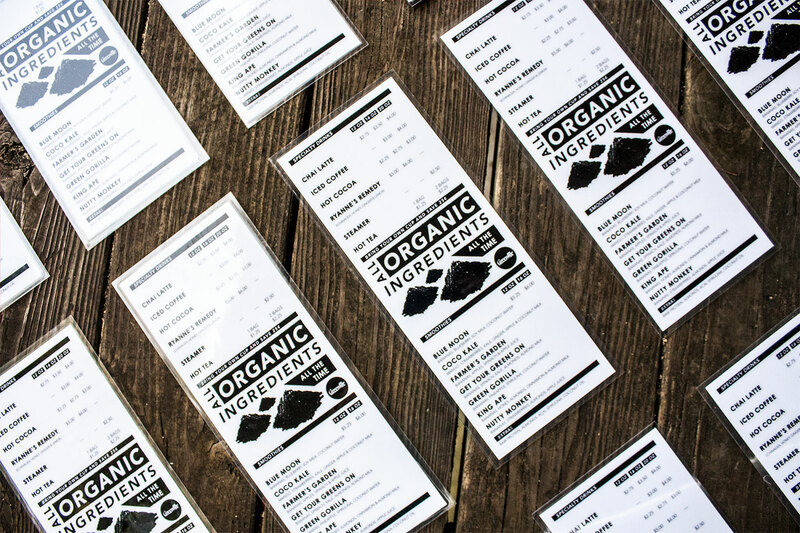 Accented with illustrations of ground and whole coffee beans, the menu calls attention to the organic integrity Greenlife prides itself upon.